The 11 between Oke & tavi can't run via it's normal routing via Brentor at the moment due to one of the cattle grids having collapsed big time. It is going to be some weeks before it it repaired, and in the meantime traffic is diverted through the side gate used by horses. This is too small for the Scanias on the 11, so they are doing a doubleback at Lydford and running direct down the A386 to Mary Tavy. Meanwhile DCC is funding a shuttle to run between Lydford and Mary Tavy via Brentor using Citycoach's minibus. Sadly I couldn't get a photo yesterday as the minibus was away on a private hire so a Holman's minibus was in use (though it failed to arrive at either Mary Tavy or Lydford on my trip back north in the afternoon ...) Thanks to Richard Stedall for the update. He adds... If might be worth mentioning this shuttle on you blog to see if anyone can get any photos ... after all it's not every day Citycoach gets to run a rural bus service like this ! Tom Michaels updates us on Blue Flash 42: All the Blue Flash single and double deckers are having their branding changed to read City – Derriford – Tamerton/Tavistock. This is because in the new timetables the Tamerton runs will interwork with the Tavistock runs. 103 is in the paintshop being resprayed into Blue Flash livery. Sounds strange, though as detailed in my comment is far more efficient than the current workings with an extra bus which sit in Bretonside for 30 minutes a trip. Note also the every 30 minutes branding at the rear has been removed too for the Tamerton runs. Citybus 504 has receieved the new lettering so far. Photo Here. 501 and 503 have not been changed yet. IAN VISITS: Passenger services could be restored to Southall railway line This weekend, a cargo railway in West London saw humans transported instead of waste as the local heritage railway laid on shuttles using a restored steam rail-motor engine. A rare chance for train geeks to ride along a bit of track, but one that could see a lot more traffic if plans by the local council are approved. IPSWICH BUS BLOG: 32493 BACK IN TOWN AND IB X3 TO OPERATE ON SUNDAYS Many thanks to James Long and the depot team for allowing him to take this picture of 32493 AU53 HKL which has returned to Ipswich with sister 32489, leaving only 32488/91/94 of the 66 Deckers to be done taking her place for refurbishment 69422 AND 69425 IN SERVICE First Ipswich Volvo B7RLE 69422 AU58 FJJ entered service today on the 60/61, complete with full branding to front and sides while sister 69425 AU58 FFM here on the 88 still has no branding. PUBLIC TRANSPORT EXPERIENCE: 1952 : London, Then and Now The MX5 service polarised opinion in the town. There were those who were 100% in favour of coach travel and, equally, those who were utterly committed to rail. Ne'er the twin would meet! Good News for Rail Passengers? Or is it? Without the inclusion of returns, there is a very real possibility that people using the new site will pay more than they need. All credit to the sponsors of the site for trying their best but fbb would advise EXTREME CAUTION in taking its advice. Part of a bigger move around I believe with the two Dartmouth Park and ride liveried Solos going to Cornwall too. I travelled on the 11 between Tavi & Oke this afternoon (1325 departure) and it took the usual route via Brentor over both the cattle grids with no ill effects. The diversion arrangements were visibly posted inside the bus though. What is the Citycoach minibus? 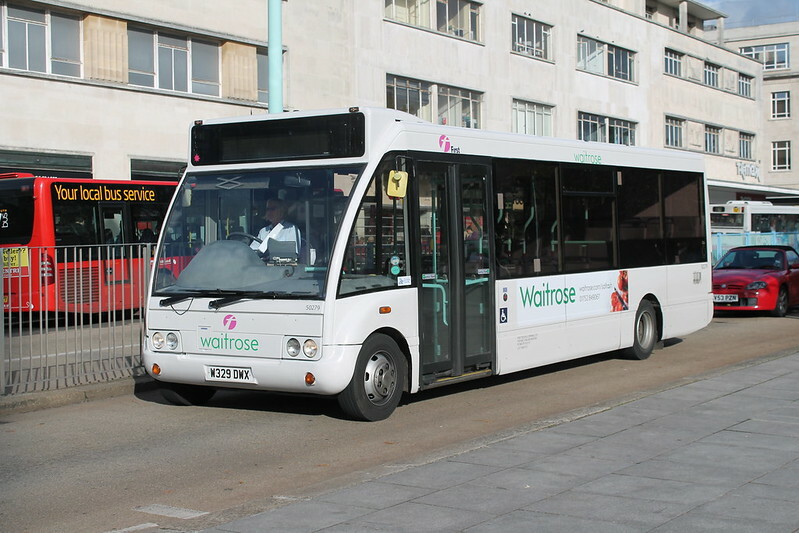 It's not in the Plymothian Transit PCB fleetlist. Thanks for those who pointed it out that it wasnt on the lfeetlist. It is now! Graham, DCC "found" a cattle grid from somewhere and effected repairs opening the road during Wednesday afternoon. Buses were put back to normal as soon as we could contact drivers, with the shuttle minibus remaining on site until all drivers were aware. The minibus is CityCoach 944. It was also used on the Laira Green to Pike Road Co-op shuttle linking up with the no. 8 service.